Having lots of visitors here over the past three months has me thinking a lot about my favorite things to do here in Hawaii! There are a few places that I feel like I absolutely must show my friends and family who come all the way from the mainland to visit us. I get really excited when our friends and family come to visit, and I tend to go kind of overboard making lists of things to do and places to eat. I went through my lists and picked out my favorite things. 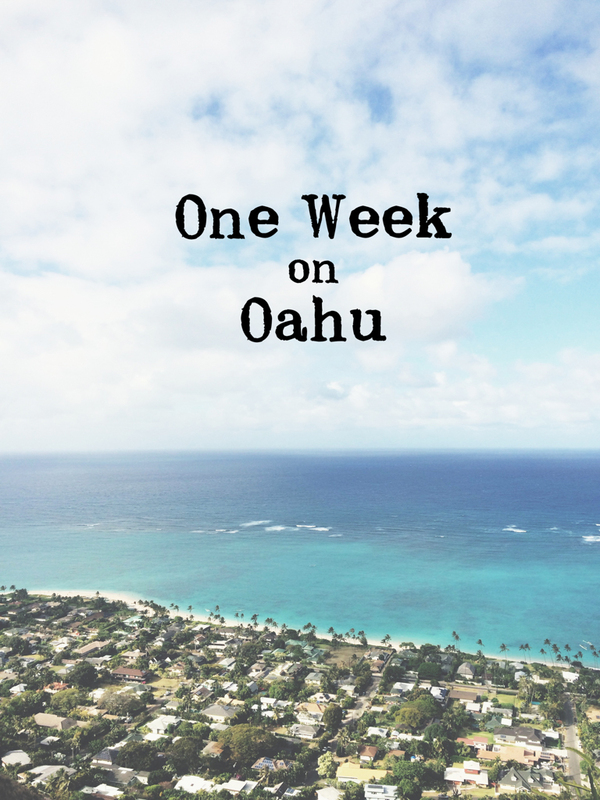 If I had one week on Oahu, this is what I would do! I would take advantage of my jet lag and get up before the sun. 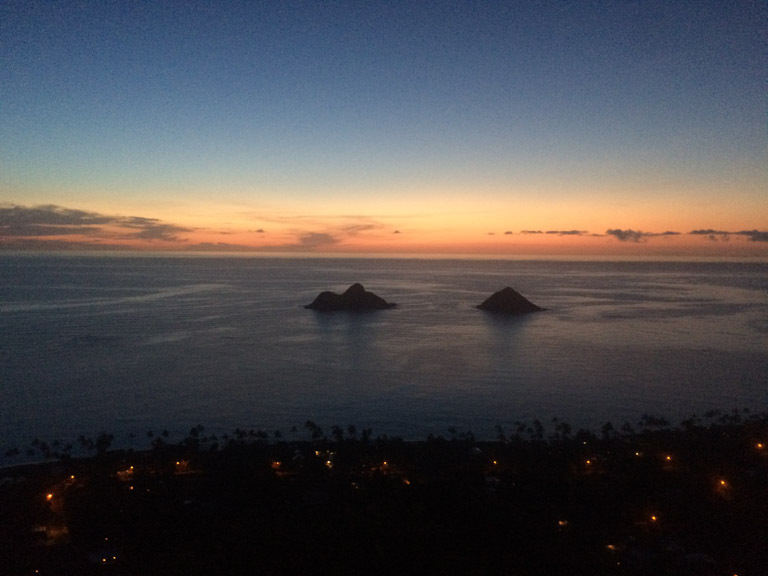 I would bring a flashlight and hike up to the Pillbox Trail to watch the sunrise. Trust me, you will be up anyway, so you might as well get to see the sunrise! I would spend the rest of the day in Kailua. 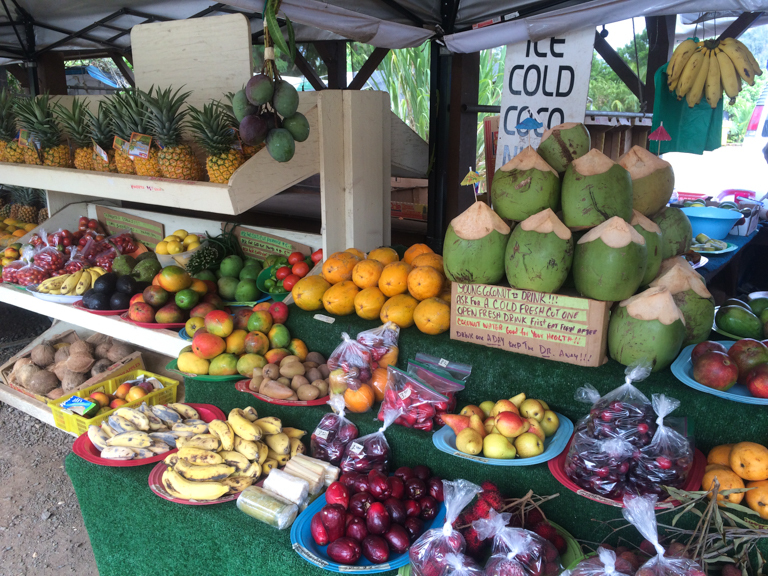 It’s home to one of the best beaches on the island, with lots of shade, bathrooms, and a little market where you can get drinks, sandwiches, and snacks – Kalapawai Market. 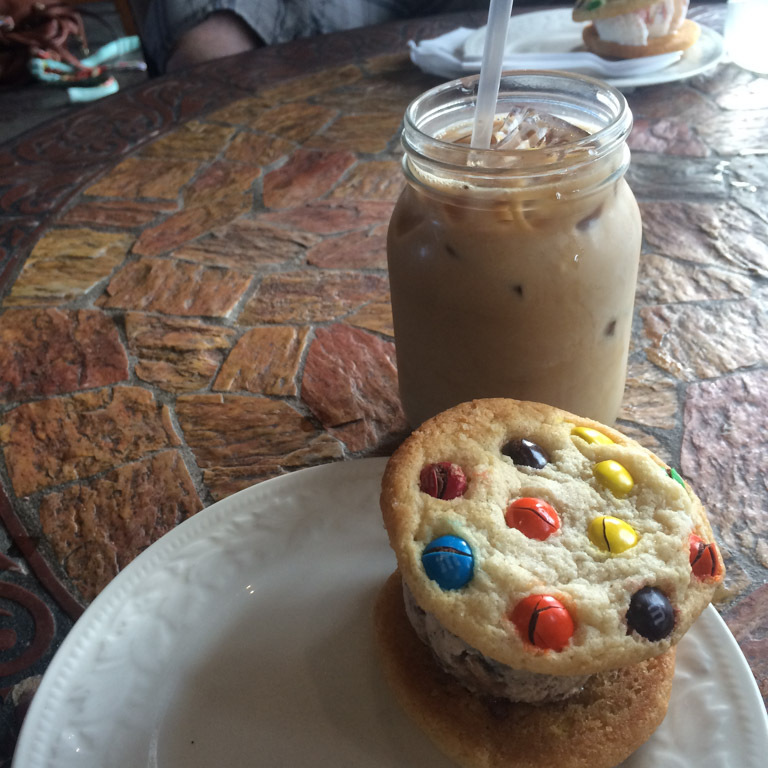 I would make sure to get an ice cream sandwich and an iced coffee at ChadLou’s. Later I would have dinner at Kalapawai Cafe. I would spend the entire day on the North Shore. I think that the North Shore is the best part of Oahu. There are so many small local places, and the only way around is a gorgeous one-lane highway that hugs the coast, Kamehameha Highway. 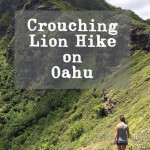 First, I would hike up to Crouching Lion. Afterwards, I would get lunch at Uncle Bobo’s, which is right down the road. I would spend the rest of the day on the beach on the North Shore. Along the Kamehameha Highway there are so many random little places to stop at. You will see fruit stands, farms, food trucks, and beaches that you will have all to yourself. There are certain points along Kamehameha Highway where you can literally just pull over on the side of the road and hang out on the beach. It doesn’t get more island-y. Because all of the beaches in Hawaii are public, you can go to any resort and go on their beach, if you want. 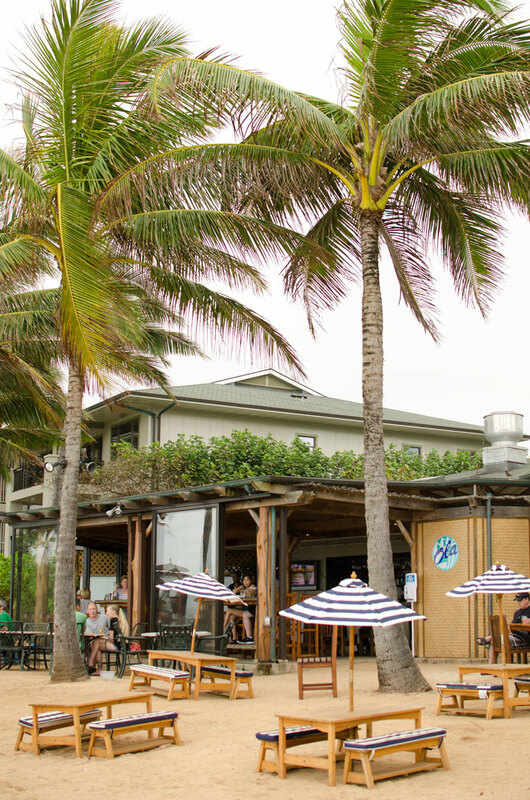 Turtle Bay Resort is also one of my favorite places to go on the North Shore because they have fun bars, a nice beach, and delicious places to eat dinner. I’d probably go to Ola because you get to sit with your feet in the sand! I would get to Hanauma Bay sometime before 8:00 am. 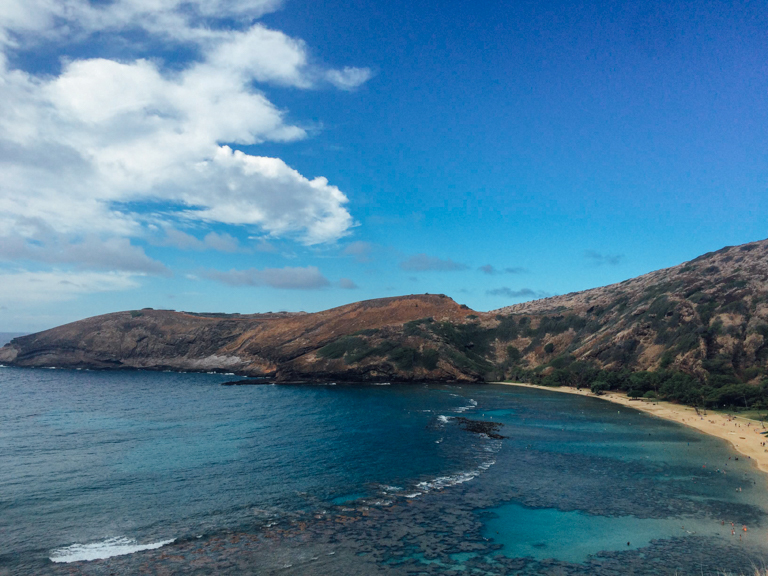 Hanauma Bay is a nature preserve, and they limit the amount of people who are there each day, so it gets completely full by 9:00 am. I would snorkel around for a few hours, and if I was hungry, I would get lunch at their food stand. Their food is surprisingly good, even though it’s expensive for what it is. If I was able to make it, I’d grab lunch at the Kona Brewery nearby, and then I would hike to the Lighthouse Trail. If you are here between December and March, chances are you will see whales out there! It’s a short, paved trail, and it is less than a mile to get to the top. The views are stunning! For dinner, I would head over to Honolulu and go to Side Street Inn for some authentic Hawaiian comfort food. I don’t think any visit to Oahu can be complete without a visit to Pearl Harbor. I would get there right when the park opens at 7:00 am to get a ticket. You can purchase tickets in advance online, but they are hard to get, and they sell out quickly. But, they also set aside 1,200 tickets each day for walk-ins, which they give out on a first-come, first-serve basis. If you get there right when they open, you are pretty much guaranteed a ticket. 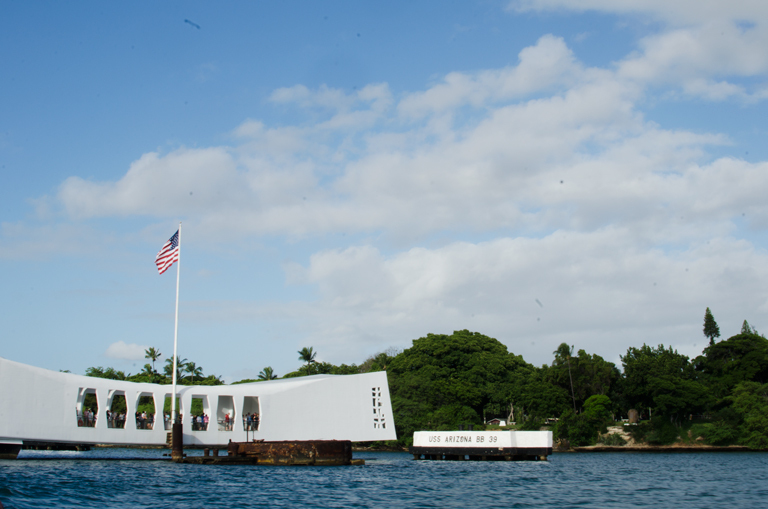 After going to the USS Arizona Memorial, there are a few other things to check out, depending on your interest. There is an old diesel submarine, a submarine museum, the Pacific Aviation Museum, and the Battleship Missouri – a battleship that was in three wars and is the place where World War II officially ended. So much history! Afterwards, I would get lunch at Nico’s Pier 38. I would get up early and go to Waimea Falls. A short walk through a botanical garden will bring you to a waterfall that you can swim in. On the way, I would stop for coffee at Surfers Coffee Bar, a coffee shop that is a nonprofit organization that donates all of the proceeds to different charities. Even the baristas are volunteers. After Waimea, I would get lunch at the Farm Cafe. My favorite lunch spot! Because I love the North Shore so much, I would spend the afternoon snorkeling or just lounging at the beaches on the North Shore. 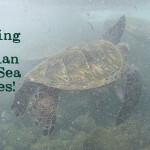 If you want to see turtles, stop at Laniakea Beach. You can snorkel with them or just watch them from the shore, where they like to come up to rest and lay in the sun! Anywhere you choose to go is amazing. The sunsets are amazing from Sunset Beach or in Waimea Bay. The food trucks would make a perfect dinner! Diamond Head is such a unique experience. 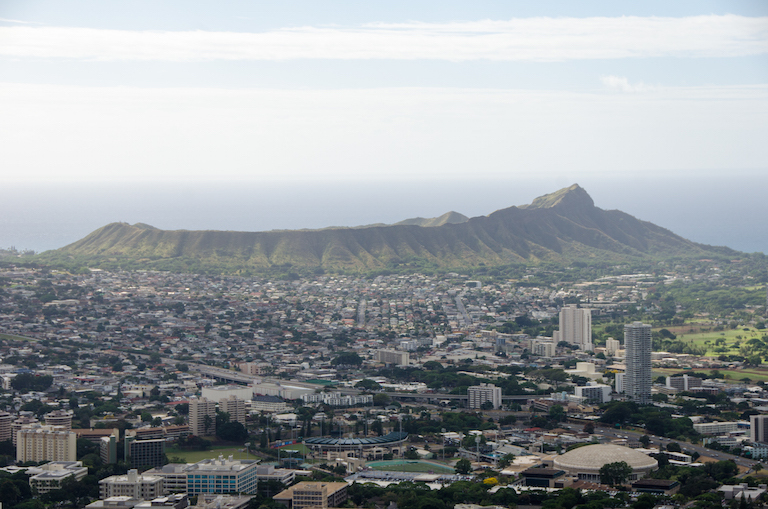 Diamond Head is a crater that was formed about 300,000 years ago during a volcanic eruption. How often do you get to walk inside a crater? And the views are awesome. 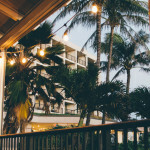 Afterwards, I would head down the street for breakfast on the beach at Hau Tree Lanai. The food and the views can’t be beat. They are famous for their breakfast, so definitely make a reservation. 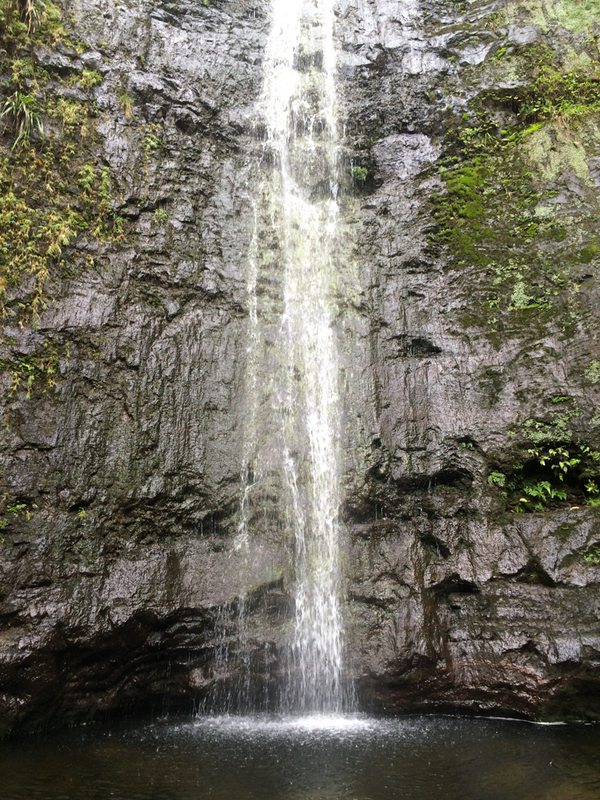 While I was in Honolulu, I would head over to another favorite waterfall – Manoa Falls. It’s a short, easy hike! It takes only a few minutes from Manoa fall to drive up to the top of Mount Tantalus. It’s a short drive, but you get amazing views of Honolulu from the top. It’s worth the detour! 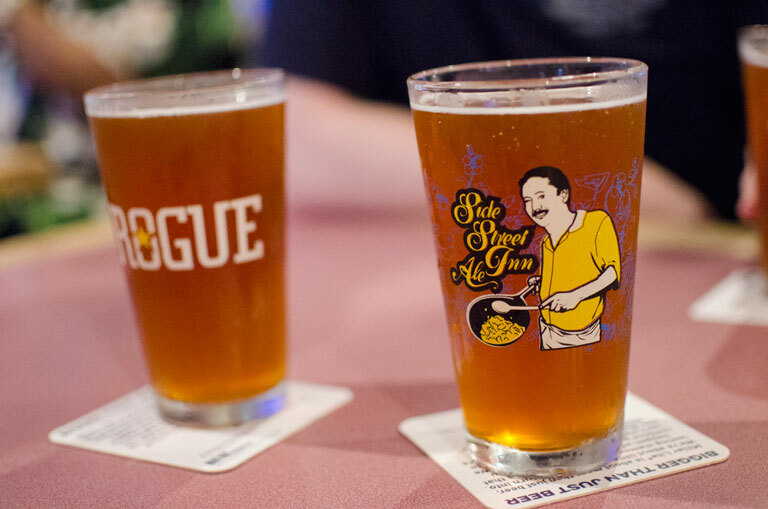 That night, I would go to Pint and Jigger for some great beer and snacks. I would go back to Kailua! I would grab coffee at Morning Brew, and then I would rent a kayak and go out to the Mokes. 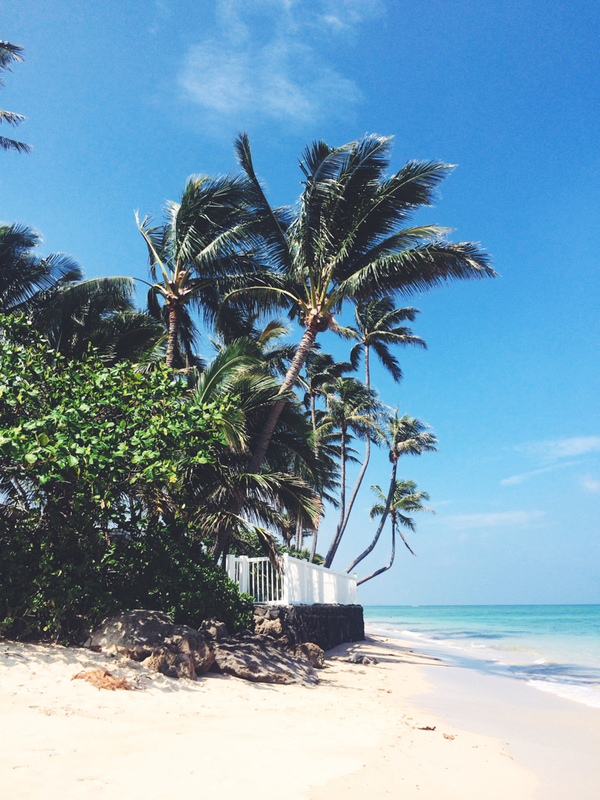 After that, I would spend my last afternoon in Hawaii on the beach with a book! I might want to check out my favorite bookstore on Oahu to get a book or two for the beach and the plane. They are only a quarter each! This itinerary is pretty similar to the itineraries I’ve made for my friends and family visiting over the past few months. Of course, it depends a lot on your idea of a vacation, but these are all of the things I love to do to! Carolann, you’ve basically designed a detailed itinerary for a week in Paradise – this is so useful for anyone coming there and I seriously hope I can use it one day! Snorkelling with turtles, beach dinners from food trucks, history at Pearl Harbour – it’s just such a great mix of activities and dining experiences – and of course, I would have to try the ice cream sandwich! Thanks for your sweet words – you really brightened my day! Can I second every single word of Shikha’s, and add that I’ve Pinterested this to my dream holiday wishlist? Our favorites of mine as well. 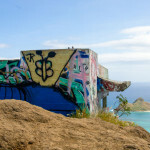 The pillbox hike for sunset and sunrise had to be one of my favorites this trip also having the opportunity to go out to the sandbar in Kaneohe Bay. We did go zip lining in at Kualoa ranch it was expensive but very nice. The guides were fantastic. Alamo want to shopping center has gotten too big I’d rather sit at Kailua Beach for the day. I am biased though I was born and raised in Hawaii and I’m from Kailua. However I live in Wisconsin now so my visits are far and few between. Hi Lisa! Thanks so much for stopping by and for your sweet words. I’ve never been to the sandbar at Kaneohe Bay even though I’ve heard so many awesome things about it. I think I have to add that to my list of must-dos whenever I get back. I’ve never been zip lining either but I think you have convinced me to give it a go. Kailua beach is one of my favorite places, ever. I would always pick a beach day at Kailua over shopping at that mall! 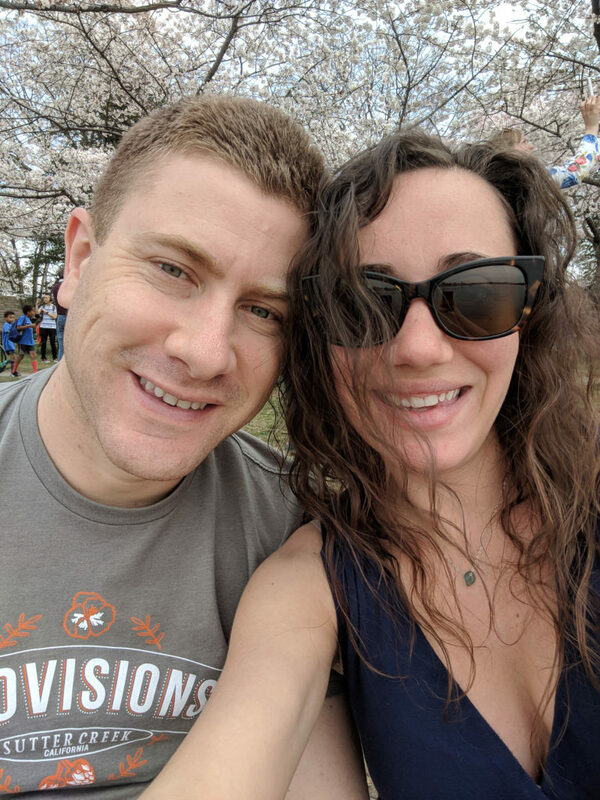 We just moved from Hawaii to Connecticut, but I am hoping with a little luck we will be able to move back one day. I hope you get back to Kailua soon! Hi! Pinning this post as well! Planning to be there for a week in June, I was wondering if you have recommendations for hiking with kids? We will have from ages 8 down to 2…and would love an easy hike with a waterfall ending for them..thanks in advance! Thanks so much for stopping by. 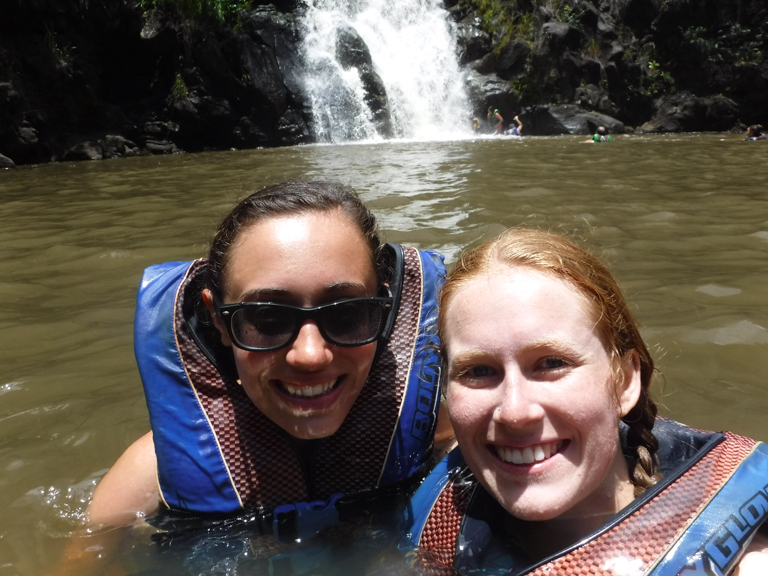 I think you should check out Waimea Falls! It is a paved trail through a botanical garden that ends with a waterfall. It is about 3/4 of a mile each way. There are lifeguards and life jackets in case you all want to go swimming in the waterfall, but the water is very cold. It is gorgeous just to look at. You can bring strollers, since it is paved. Also, if the hike gets to be too long, there is a little tram that can take you back. So I think this is perfect for families with young children! Go to http://www.waimeavalley.net to learn more. Hi Lolla! I’m so glad that this is helping you plan your trip!! The ranch is a bit far from some of my other favorite things to do. Depending on where you are staying, you might want to go up to the North Shore afterwards. The ranch is on the main highway (Kamehameha Highway) that takes you up to the North Shore. There are beaches, restaurants, farm stands, etc! 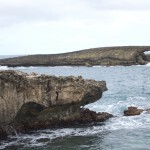 Some of my favorite things, like Turtle Bay, Uncle Bobo’s, Kahuku Farms, and Waimea Falls would be a bit of a drive, but if you are at the ranch, you are already on the way if you are coming from the Honolulu area. The beaches up there are amazing. Or you could drive down to Kailua and get some ice cream at ChadLou’s, or a coffee at Morning Brew, and head down to Kailua beach. 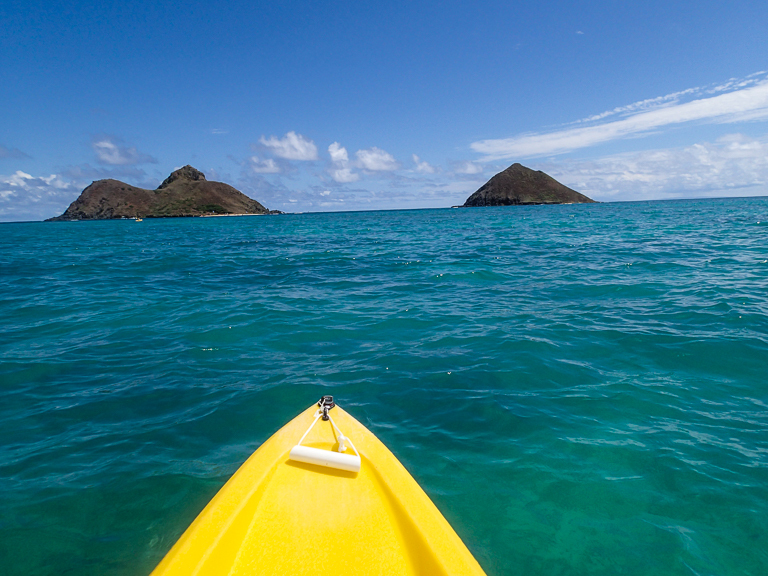 Kailua is a fun town for relaxing on the beach, eating, and shopping. I hope you have a blast on Oahu whatever you do! Thankyou for such a great itinerary Carolann! My partner and I visited Oahu almost 2 years ago and while we did a lot of activities we mainly stayed in Honolulu. We are about to go again in a few days and this has given us so many new exciting things to see and conquer! Your itinerary definitely does this beautiful paradise justice! Wow Casey, thanks so much! 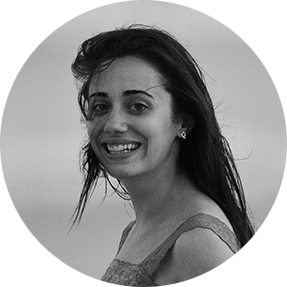 I hope that you get to go up to the north shore – it’s so beautiful and peaceful up there. Have a blast in paradise! Hi Carolann! I’m trying to plan a trip to Hawaii. Would this itinerary be recommended in December? Otherwise, which months would be optimal? Thanks! Hi Mish! You can do almost everything on this list in December. The only problem with going to Hawaii in December is the high surf waves on the north shore. I stay out of the water on the north shore during the winter months. Check surf advisories as well. The best part about visiting Hawaii in the winter is that you can see whales! They migrate to Hawaii to stay warm during the winter months. 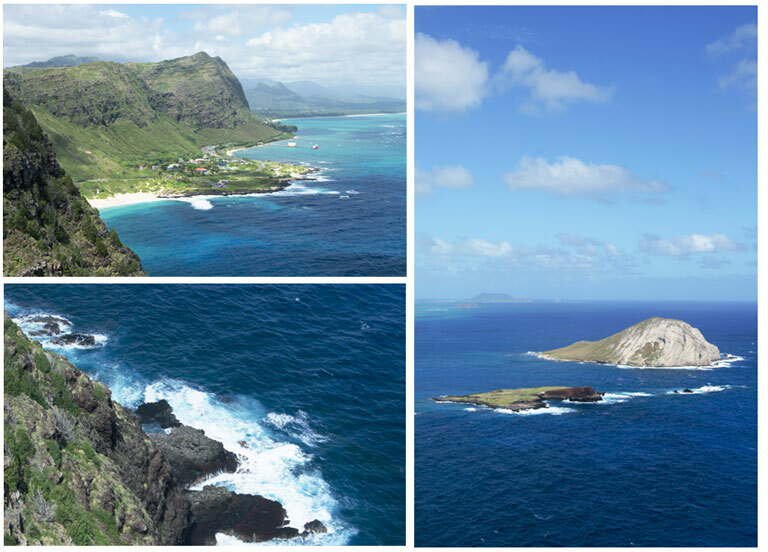 You can take tours out of Waikiki that will let you see the whales, or you might be able to see them from the Makapuu Lighthouse Trail. Yes, I would recommend renting a car so that you can get out and explore! A lot of the things are spread out, especially the things on my list. 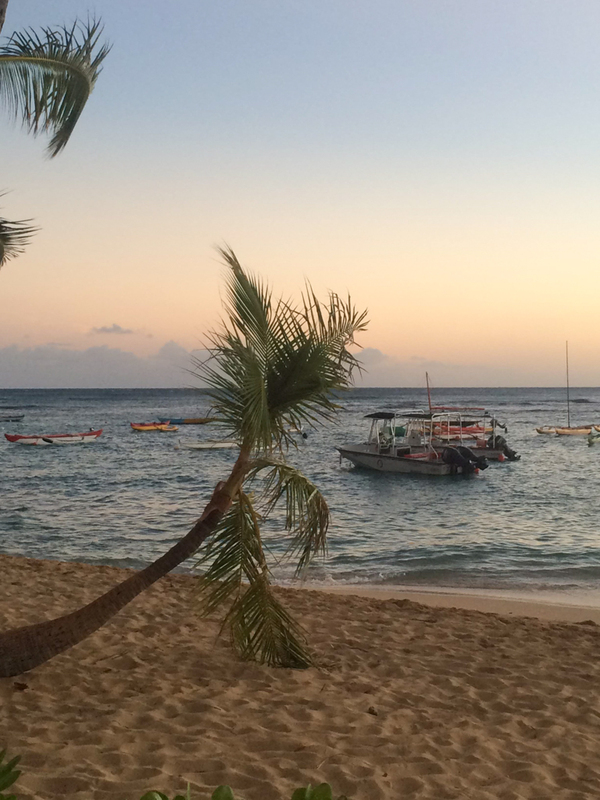 If you were only going to stay in Waikiki you wouldn’t need a car, but you would miss out on so much. Right now for public transportation, we only have a bus system, which is very slow. I think it would be worth it to rent a car. Wow that definitely an awesome detailed itinerary for those only there for a week. Well its my first trip out of my country – Aotearoa (New Zealand), and I’m travelling over next week for just one week too. Excited, nervous but ready to have a go of experiencing the land, cultures, sights etc (not that i’m the hiking/walking type), however that is okay just to touch the grounds of Hawai’i when i land will be like the beginning of my own adventure and journey. Thank you for sharing your time and your experiences as this makes me feel less nervous now and I do look forward to my trip now. 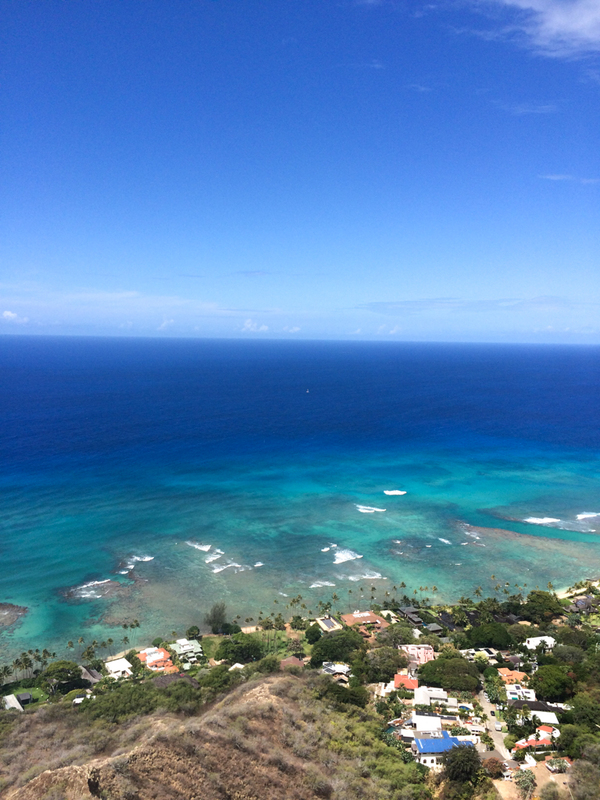 Have been thinking about Hawai’i for this years trip and this post is a BIG help. Any thoughts on where you would stay during this week? Closer to North Shore or Honolulu? Would love some suggestions?! ?